Jonathan Franklin regularly reports for The Guardian, VICE, and Esquire. He also works with the team at Retro Report producing documentaries broadcast by The New York Times. Based in Santiago, Chile, and Manhattan, Franklin reports on Latin America. Franklin’s previous book 33 Men, the exclusive account of Chilean miners trapped nearly a kilometer underground, became a national bestseller in the US and UK and was translated into nineteen languages. He can be contacted @FranklinBlog and JonathanFranklin.com. “The best survival book in a decade." 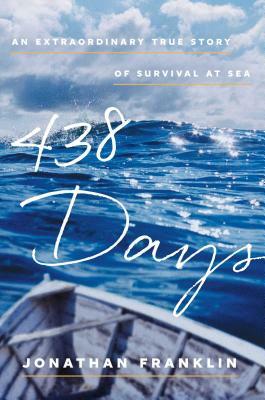 "A fascinating, action-packed account of long-term survival on the open seas." "Jonathan Franklin is an American journalist, but it is with a novelist’s eye for detail, rather than a reporter’s matter-of-factness, that he gives this gripping saga the chronicle it deserves...it unfolds like a rollicking adventure story...remarkable...reminded me of both Yann Martel’s Life Of Pi and William Golding’s Pincher Martin, yet tells a tale that is nothing if not astoundingly, engrossingly singular." “This riveting adventure has us in its grip, spellbound and eager to know more about the mysterious Salvador Alvarenga…His story of resilience, ingenuity, and grit is an unforgettable true-life adventure." "As this old world pursues its endless journey round the sun, many are the tales of death and disaster on the high seas. Few indeed are those that tell of near-miraculous survival, fed by human courage, faith, strength and intelligence. This is one such."